We hope you’ve had a thoroughly spiffing holiday season, full of fun, festivities and lots of food, and we all wish you a very happy and prosperous New Year! 2014 is going to be a big year for Omlet, so make sure you keep up to date on our Facebook and Twitter pages, and, of course, by reading our newsletters. With our 10 year anniversary coming up, there will be more exciting new products, fabulous offers and colossal competitions this year than ever before, so don’t miss out! 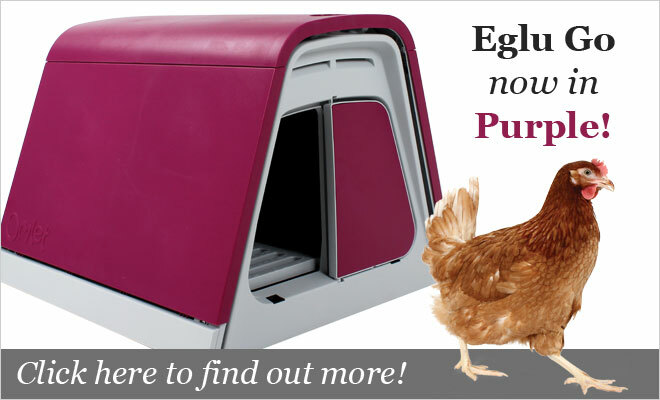 This new year begins with a new colour, as the Eglu Go is now available in purple. A different shade to the purple Eglu Classic, this rich, warm tone looks fabulous on green grass, making it a stylish addition to your garden. 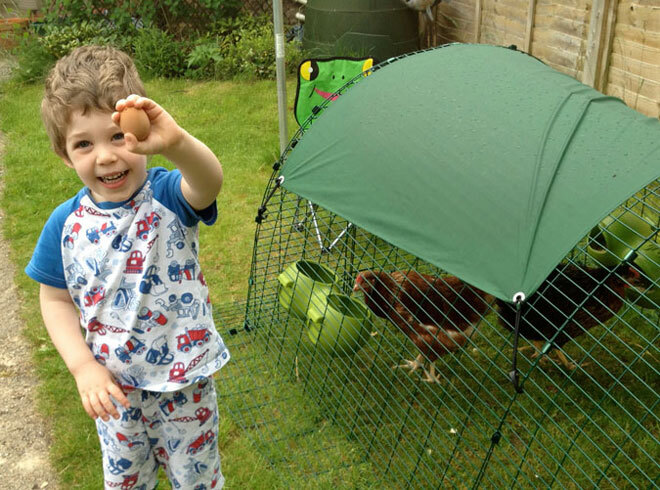 So, if you’re thinking of keeping chickens this year, why not read about the benefits of this eggcellent new chicken coop? Thanks to all that entered our 12 Days of Christmas Competition – the lucky winners will be notified this Friday! Chickens up and down the country were opening eggstra special presents this Christmas, in the form of High-Vis Chicken Jackets. 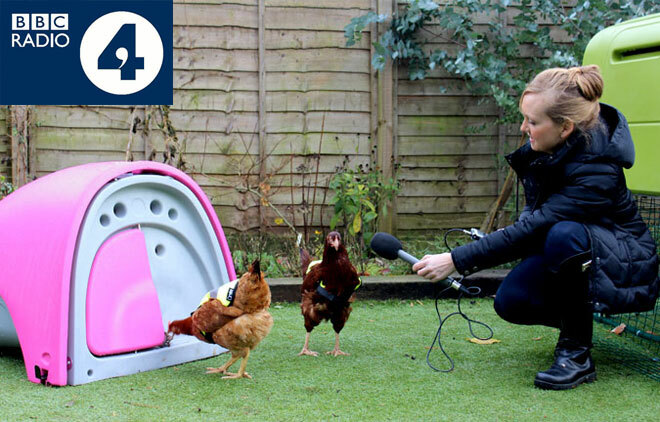 Some hens were so thrilled with their new, snazzy, warm garments, that they alerted Radio 4 to the new must-have eggcessory, and ‘Your and Yours’ immediately sent top reporter Samantha Fenwick to Omlet HQ to check out the story. After a demonstration of the Jackets, and interviews with our lovely Lorna and Johannes, Samantha was keen to meet the chickens. Having never held a hen before, she turned out to be a complete natural, and she was quite taken with our girls. We think she did a marvellous job of putting together the radio piece too, and it showed her henthusiasm for the product. Listen to the episode of Your and Yours here, and fast forward to 39 minutes 30 seconds to here about the High-Vis Jackets, or see the story on the BBC website here. High-Vis Jacket mania has struck the nation again, with more news and radio features than we can shake a stick at. BBC South Today were here yesterday, filming one of our Gingernuts and Pepperpots. 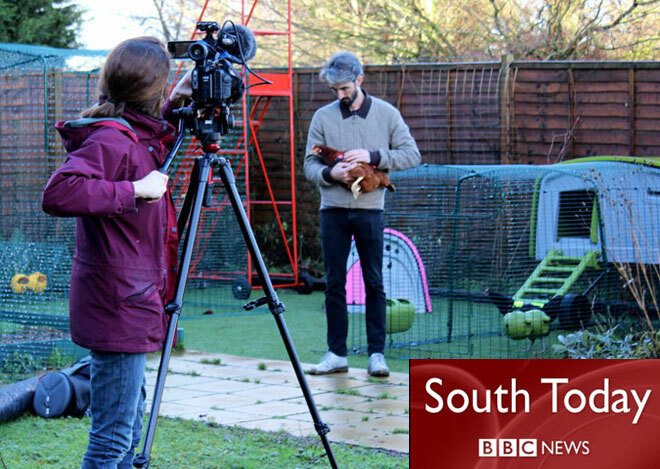 Oh, and they filmed some of our chickens too! Luckily, none of the stars were camera shy, because they are now well eggsperienced in the hentertainment industry. Our jackets featured on the 6:30pm and 10:30pm South News, but if you missed it you can catch up here. (10 minutes 50 seconds in). We also hear that they were mentioned again on the BBC Breakfast News this morning as well as Radio 2, Radio 6, Radio Gloucester and Radio Jersey. And if that wasn’t eggciting enough, ITV paid us a visit this afternoon to get a piece of the action too! It’s eggsausting working in show vis-ness! Do your hens listen to music? If not, you might be missing a trick. According to one farmer, playing some tunes to your chickens could improve their laying dramatically. Steve Ledsham saw his own hens’ egg production soar when he started playing them musical hits by Andrew Lloyd Webber. He had been building a barn at the time, so he always had music on in the background, but the chickens must have taken a liking to the new theatrical vibe; When he went egg collecting shortly afterwards, he was surprised to find around double the number compared to usual. Although this was an uneggspected discovery for Mr Ledsham, he isn’t the first farmer to claim that classical music has had a positive effect on his chickens, and the theory has been backed by eggsperts. It is believed that music has a calming influence on animals, with the consistent rhythm of music disguising any stress-inducing background noise. Mr Ledsham may believe that his hens prefer operatic music to the likes of One Direction and Miley Cyrus, but research shows music of all genres can help to relax hens. So let us know if you’ve tried playing music to your hens, and what their favourite song is, on Facebook, Twitter, or by email. Now for a bit of fun… A bizarre video clip, of rapping fried eggs, has become an online hit. The original film showed the eggs being fried in a pan, making a hypnotic, yodelling-type sound. It was only a matter of time before some yolker decided to add some of Eminem’s music to the mix, creating a ‘viral masterpiece’. 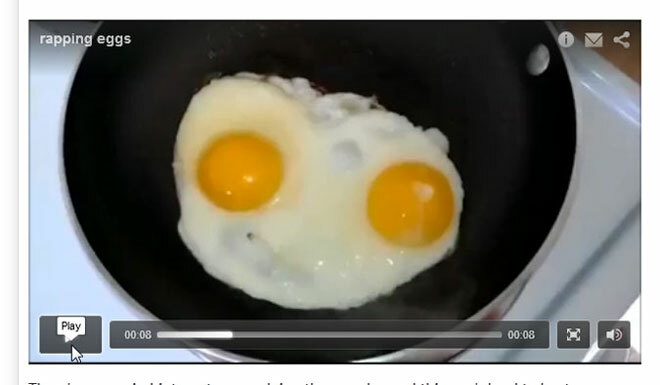 Though short, the Egginem clip now has hundreds of thousands of views on YouTube, and it is another great eggsample of pareidolia (the phenomenon of faces appearing in objects). Click here to see for yourself, and let your mind be scrambled! The weather has been dreadful recently, and it’s been a worrying time for many pet owners. 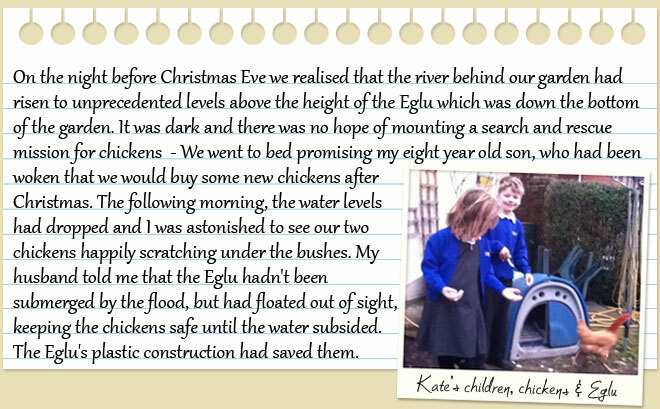 We were thrilled to receive this lovely email (above) from one customer though, telling us her eggciting Eglu and chicken survival story. Thank you Kate, and fingers crossed for dry weather soon! There’s no denying that cats and dogs make brilliant companions, but when it comes to hentertainment value, chickens pip other pets to the post every time. 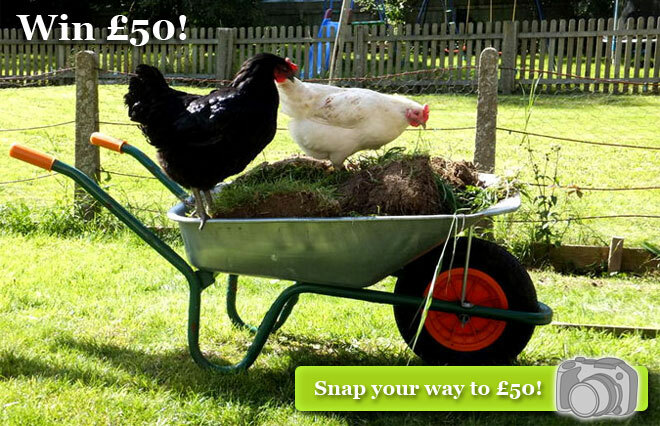 We receive no end of hilarious photos from happy hen keepers, like the one above, and it’s great to see both owners and chickens having a ‘wheely’ good time. Of course, your pictures always give us a giggle too, so we’d like to see more. Send us your chicken photos (the funnier the better), and if you crack us up you could be the winner of a £50 Omlet voucher. Post on our Facebook page, send us a Tweet or email us by January 31st for your chance to win. Happy snapping! 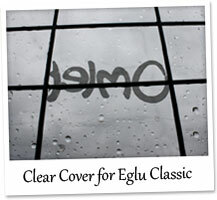 Clear Cover for Eglu Classic – Give your chickens some shelter in all this rain, without blocking your view of them. If the sun does come out, they’ll be able to get lots of light too! Also available for Eglu Go and Cube. 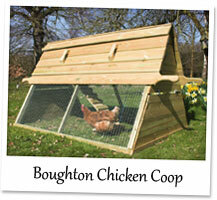 Boughton Chicken Coop – Don’t fancy an Eglu? 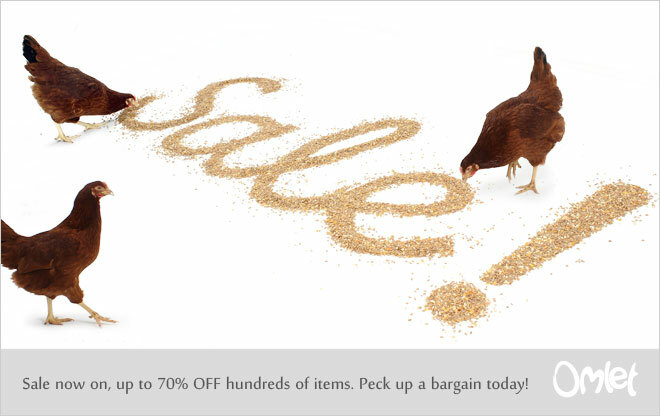 Our best selling traditional wooden chicken house is on offer this month, so peck yourself up a bargin. It houses up to six chickens and it is perfect for the first time chicken keeper. 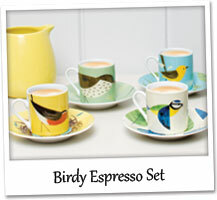 Birdy Espresso Set – Nothing wakes you up on a rainy day like a nice strong espresso, and these brilliant birdy cups and saucers will brighten up your morning a tweet. A set of 4, making it perfect for serving coffee to friends.